Sifbronzing is an almost universally recognised way of describing the low temperature bronze welding of sheet steel, cast iron and other metals. The reason behind this fact summarises why Sifbronze, the company which first developed and promoted the technique, is generally considered to be a supplier of top-quality welding rods, wires, fluxes and equipment. In 1914 a young man called Louis Tibbenham took on part of a factory in Stowmarket which had gone bankrupt, and set up his own company, the Suffolk Iron Foundry, to make castings such as flywheels and ploughshares. Just as the business got going, the Great War started, the bank-rate went up and business ground to a halt. It looked as though the company was doomed. However, Louis Tibbenham struggled on, picking up small contracts and learning, in many cases by bitter experience, about business. At one stage, having built up a good trade in ploughshares, he signed a contract which, he discovered later, forced him to stop making them. So he turned to making mangles, which before the age of the tumble-drier was an essential part of every household's washing equipment. By the end of the Great War the company was doing well. It had grown too big for its premises and so another site, some six acres of bog and rubbish tip by the River Gipping in Stowmarket, was bought for £500. The railway company provided a siding close by and work began on the site. The whole site was planned by Louis Tibbenham, and the buildings were designed by him, resulting in his winning a first prize in a competition run by the Foundry Trade Journal. The new factory coincided with a major contract which took up nearly all the Foundry's capacity and then, in the form of having too many eggs in one basket, disaster struck and the contract was cancelled. Louis Tibbenham had to find something to fill the void and so he decided to turn to specialist castings. Prime amongst these was the lawn mower, soon to become recognised as the 'Suffolk' range. Though casting and iron-founding was a major part of the business, Louis Tibbenham had always been interested in welding, and during he Great War he had met a young engineer in London who was experimenting with welding cast-iron using an oxy-acetylene flame. Suffolk Iron Foundries was asked to supply a few cast-iron rods containing extra silicon. They performed so well that they became a production item in due course, under the brand name, 'Super-Silicon Rod'. 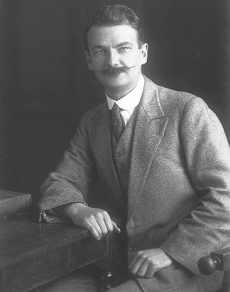 At around this time Mr Tibbenham learned of the techniques of low temperature bronze welding for cast-iron, so he developed a rod which, subsequently, was found to be suitable for welding virtually any metal except aluminium. Taking the initials SIF from Suffolk Iron Foundry, and adding 'bronze', he gave a name to the technique and formed a division to handle the products. The name Sifbronze has remained a fact in welding ever since, and has come to describe a technique which is universally accepted. Over the years the nature of the company at Stowmarket has changed little beyond expanding to meet increased demand and keeping ahead of technology. During the Second World War most of the company's efforts were devoted to war work, largely for the Royal Air Force. This included the production of ground equipment such as the bomb-trolleys which were a prominent feature of so many air stations. Sifbronze was used for, amongst many other military applications, the fabrication of air frames. 'Will The Welder' was a Siftips magazine that was produced in the early 1930's. The aim was to provide users with ideas and tips as to how to get the most out of their welding equipment. In 1954 the first fully powered lawn mower, the 'Suffolk Colt', was introduced, heralding a whole new era of development in this field. Sifbronze extended its range to include welding equipment such as blowpipes and regulators. Louis Tibbenham decided to retire in 1955, handing over to his son, Frank. In 1958 the company became apart of the Qualcast Group and then, in 1967 Qualcast merged with Birmid Industries. Louis' grandson, Paddy, is now the Director responsible for Sifbronze. Developments in welding in the 1960s were such that new techniques like semi-automatic MIG-welding were introduced and with them the requirement for new, high quality materials. At this point Sifbronze introduced the consumable electrode wire SIF-Mig, a shaved aluminium wire to ensure consistent, high-quality welds. 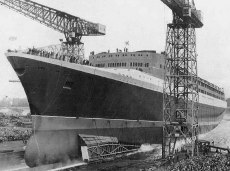 When the QE2 was built, the aluminium welding of her superstructure was carried out using SIF-Mig. At the same time the traditional methods of supply, direct to the end-user, promoted through the magazine Siftips, began to change. This meant creating a whole new supply structure based on welding distributors and engineering merchants, which is the main route of supply that the business supports to this day.